In its best performance in any wine competition to date, Orange River Cellars in the Northern Cape won the Pietman Hugo Trophy for the top-scoring winery at this year’s South African National Young Wine Show. 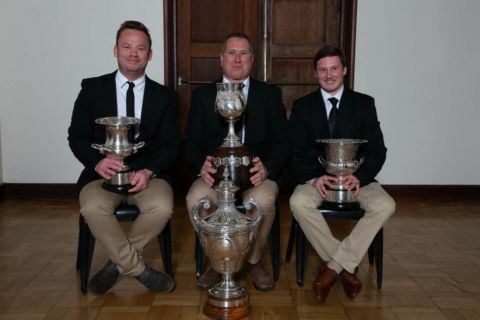 In the process Orange River Cellars took four South African National Champion Trophies back to the Northern Cape for SA Champion Sauvignon Blanc, SA Champion Other White Cultivar (Colombard), SA Champion Blended White Wine and SA Champion Dessert Wine (Hanepoot Jerepigo). The dessert wine was produced at the Groblershoop winery, one of Orange River Cellars’ five production units, while the other three wines came from the Keimoes winery. This year’s SA National Young Wine Show attracted 1 680 entries from wineries throughout the country. According to Koos Visser, marketing manager for Orange River Cellars, the achievement at this year’s South African National Young Wine Show exceeded every expectation. One of the national trophies sure to raise a few eyebrows is the one for Best Sauvignon Blanc, a grape variety as much associated with the Northern Cape as Pinot Noir is with Egypt. Yet, Sauvignon Blanc was one of the largest wine wine categories judged at this year’s show, with Orange River Cellars coming out tops. Rianco van Rooyen, winemaker at Orange River Cellars’ Keimoes winery where the winning Sauvignon Blanc was made, says the grapes grow on the flood plain of the Orange River in the Skanskop area. However, says Van Rooyen, careful lees management, a portion of wine fermented and aged in 2nd fill oak barrels and plenty of watchful eyes in the cellar resulted in a Sauvignon Blanc expressing an array of fruit, floral and mineral characters.